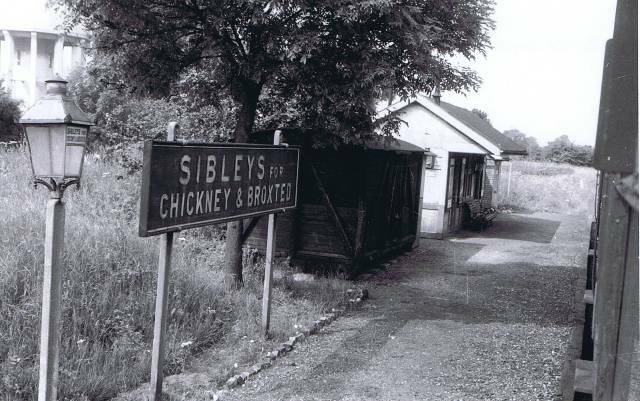 After leaving Henham Halt the train continues on to Sibleys. 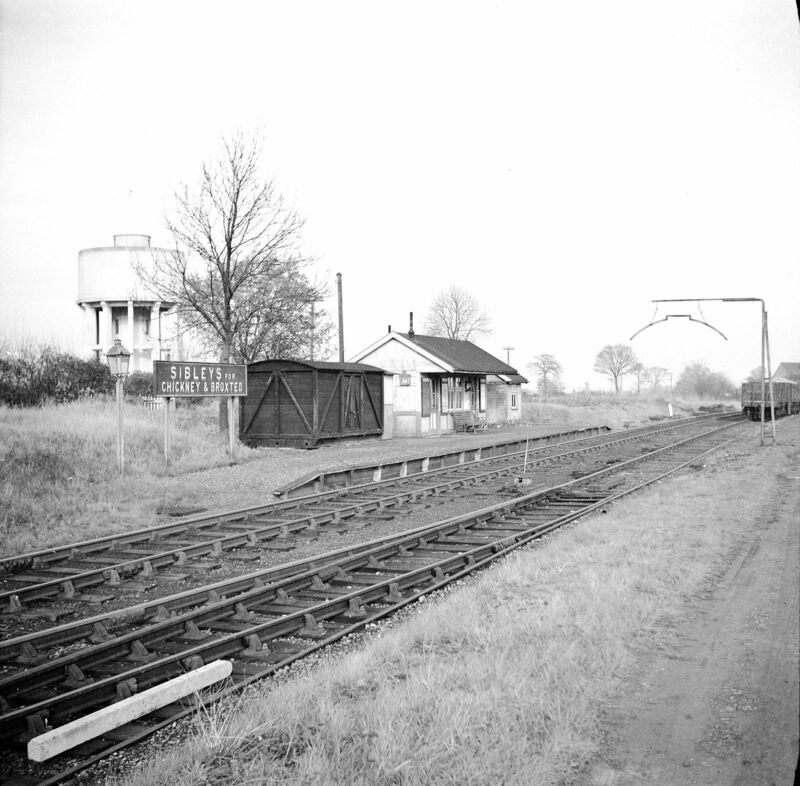 The line markings showing the disused track. 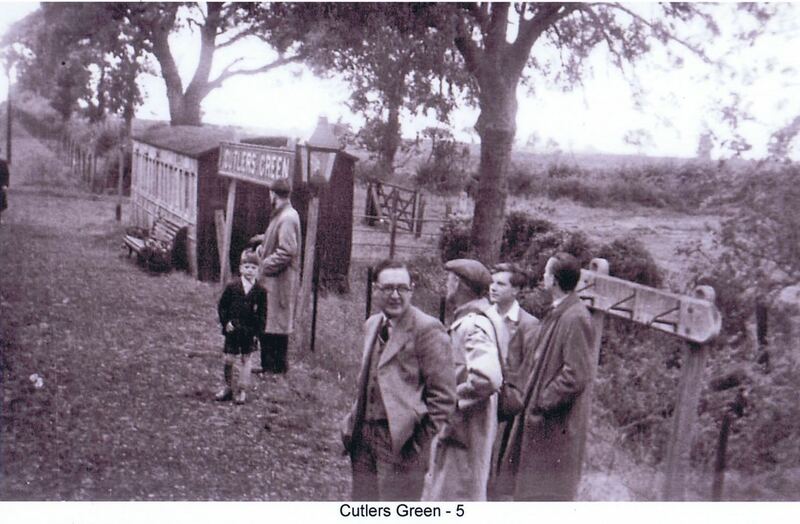 Cutler's Green was named due to the ancient and long-dead cutlery industry in Thaxted. 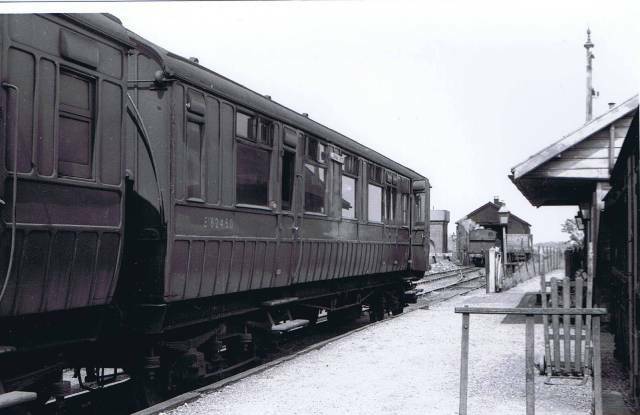 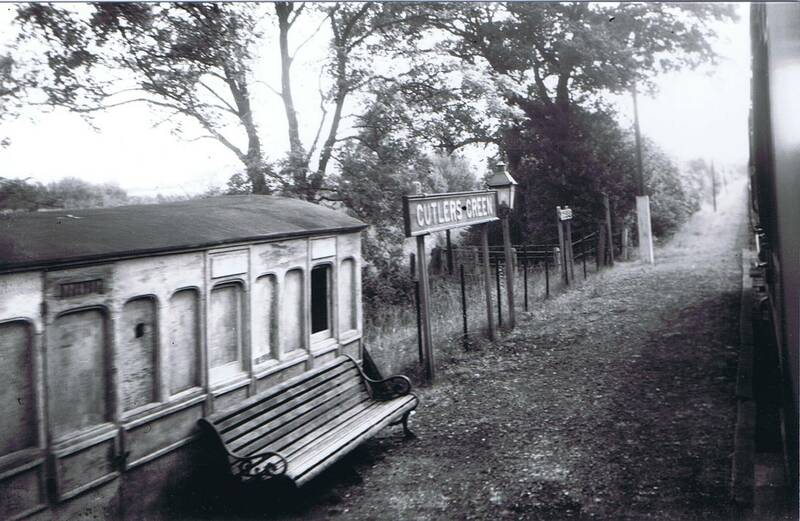 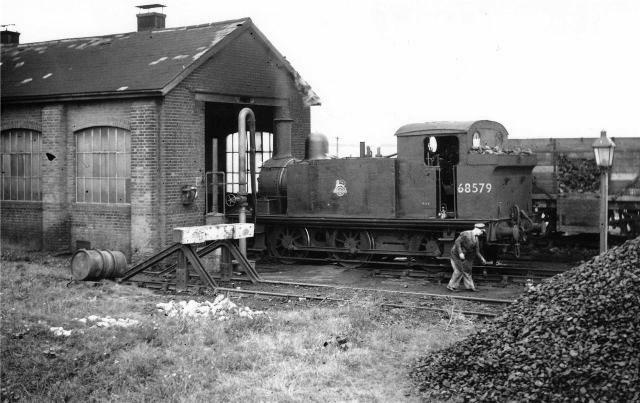 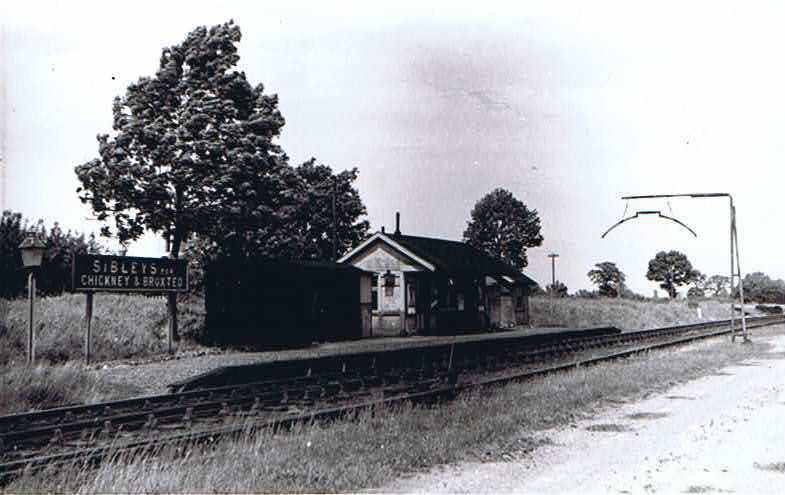 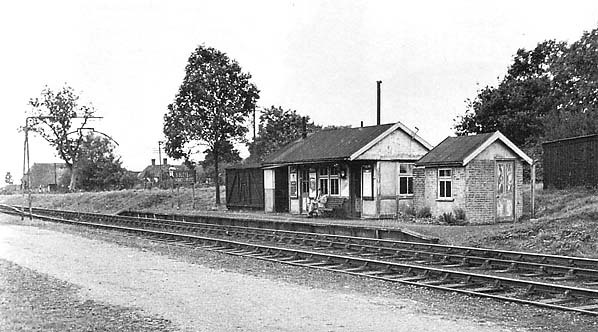 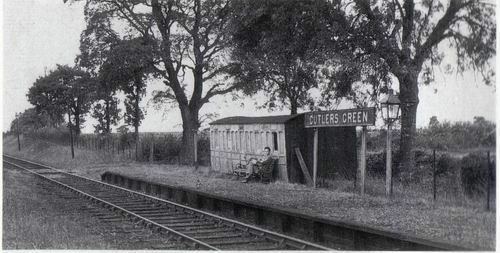 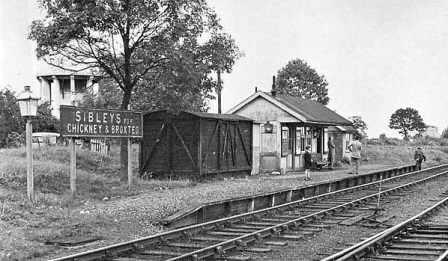 Cutlers Green Halt on 30th June 1951. 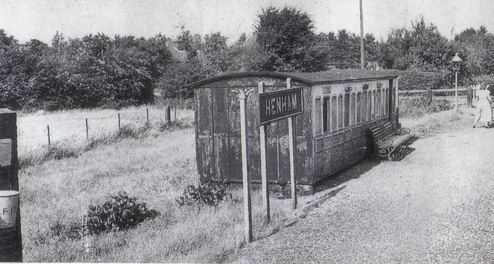 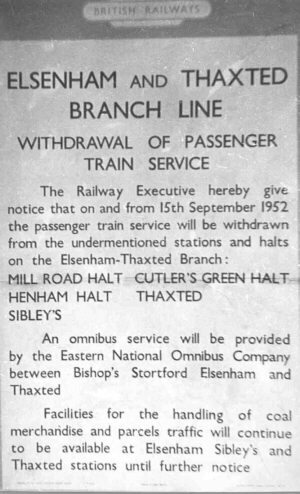 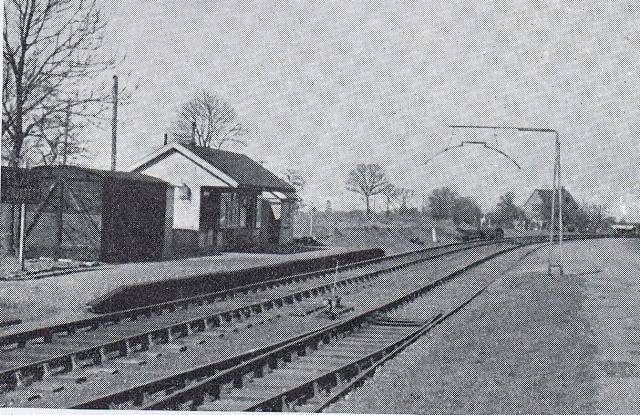 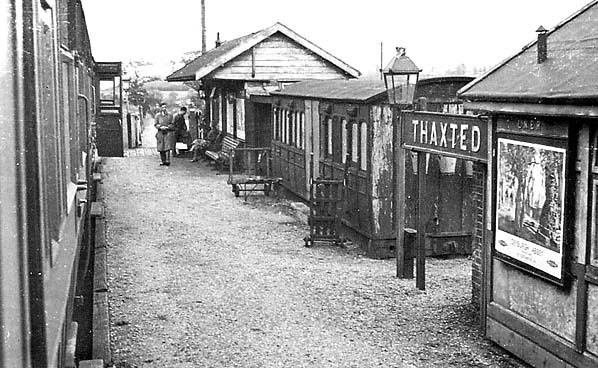 This was the last station before Thaxted, initially the station had a bench, it was not as primitative as Henham as there was a gents toilet. 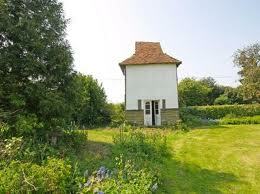 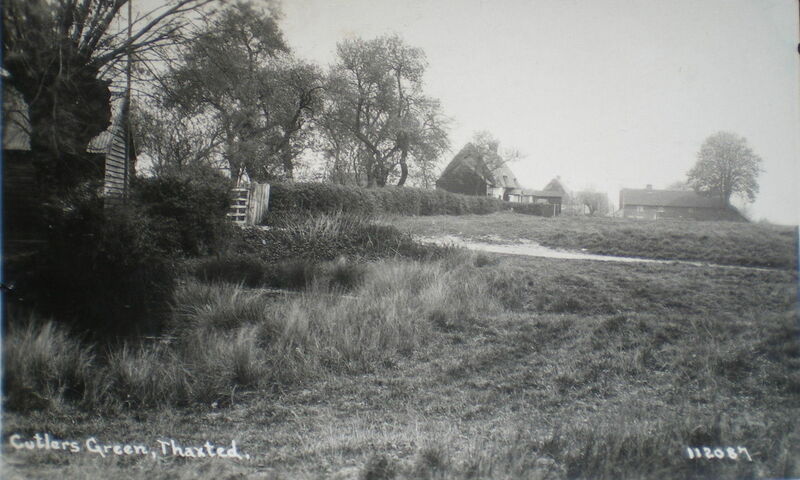 The place was remote, merely a platform in the midst of fields. 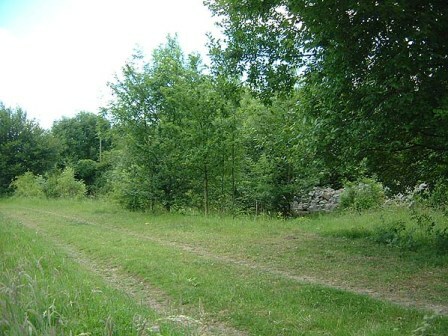 A footpath led off to the village. 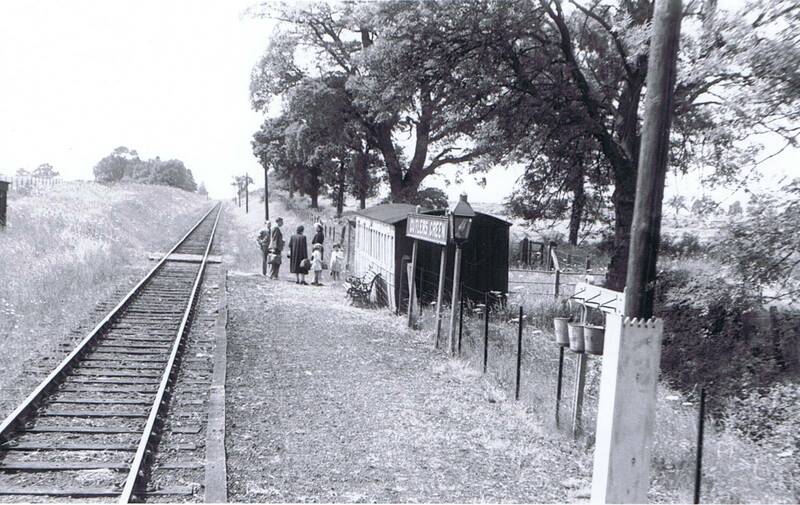 The view below was rarely taken in the life of the railway. 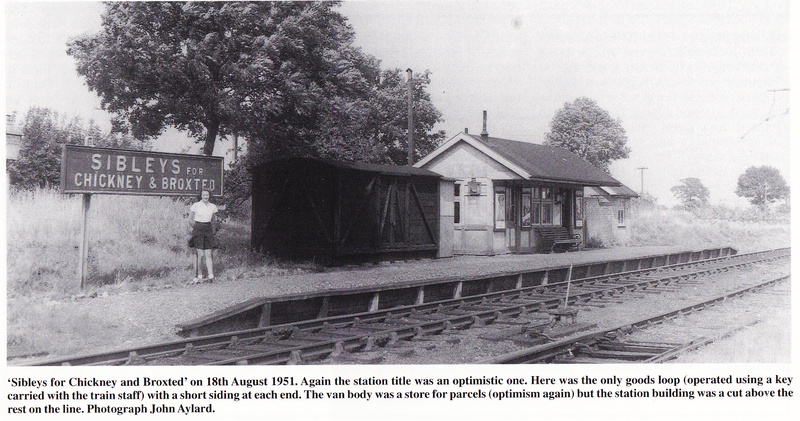 On the opening day 1700 people came to look at the train. 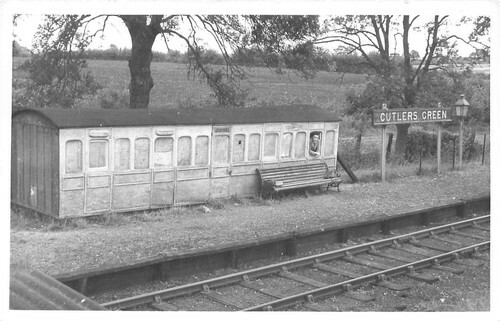 Some 150 walked to Cutlers Green and came back on the train. 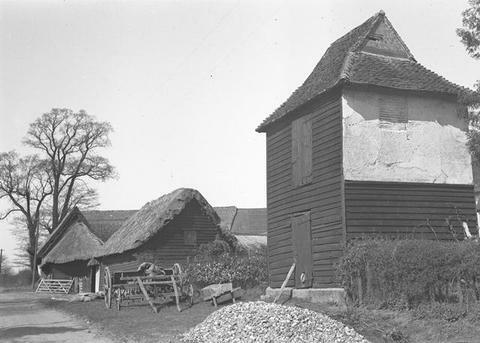 Above is Thaxted in 1952. 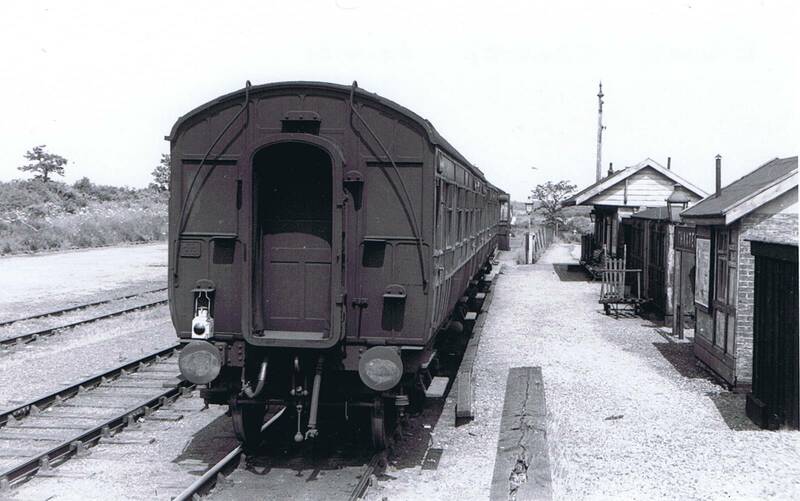 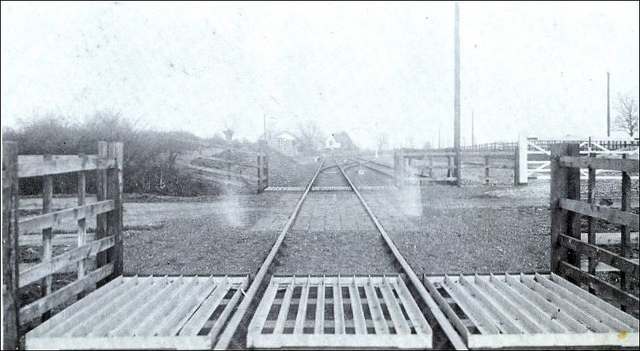 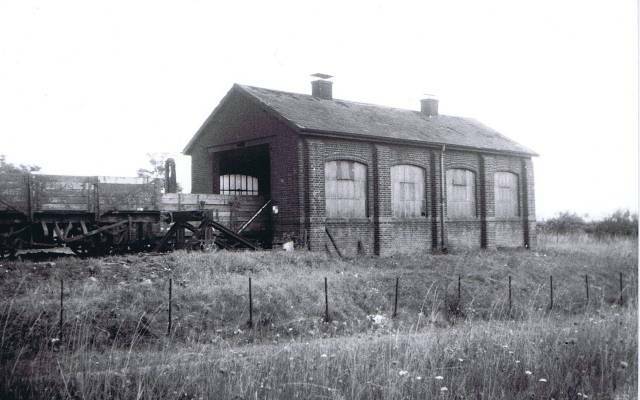 Below are photographs of the station and the engine shed. 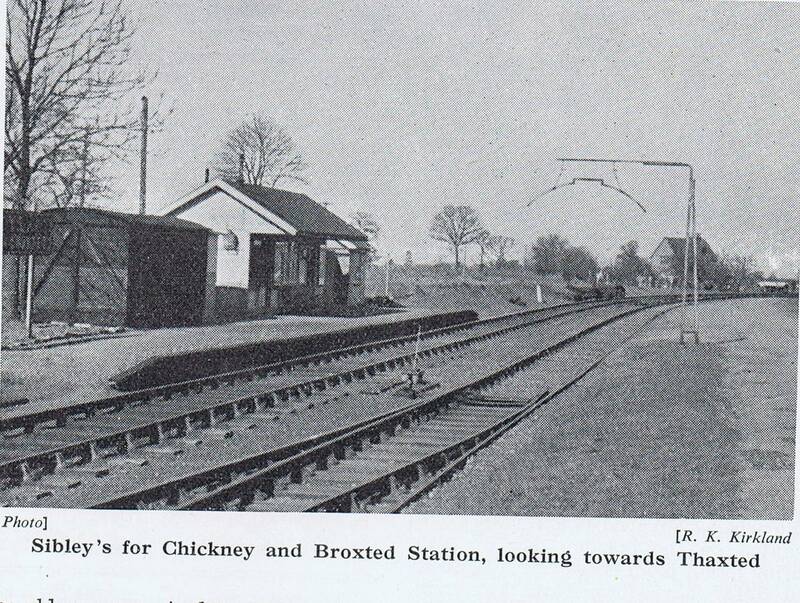 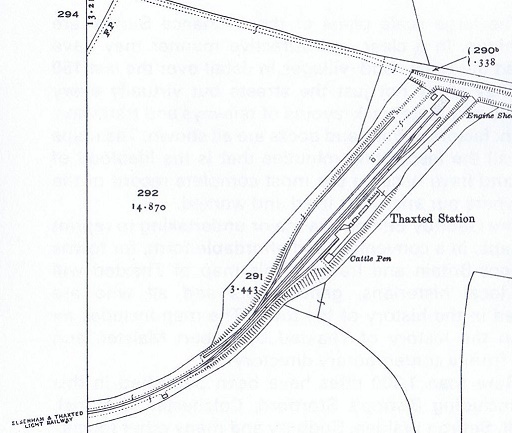 This station was very remote and it was a very long walk into the town of Thaxted, hence the need for the car.